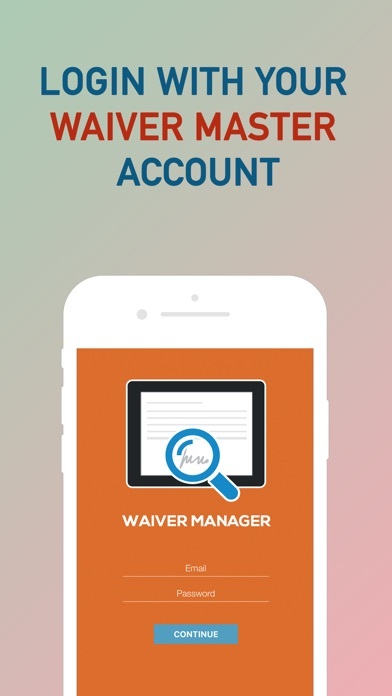 Manage your Waiver Master account with Waiver Manager App. 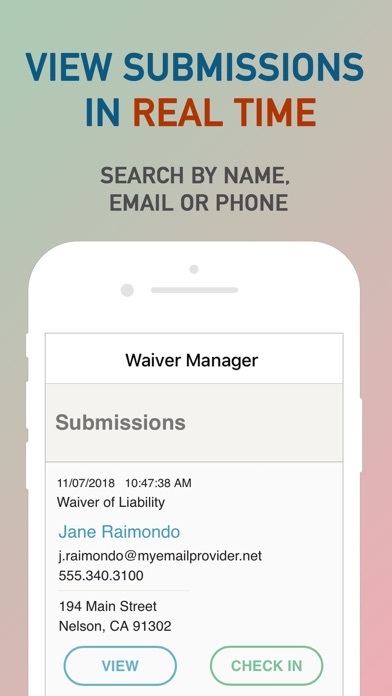 Verify waiver/form submissions and check-in customers on location to verify arrival, registration, signature, or custom document completion. 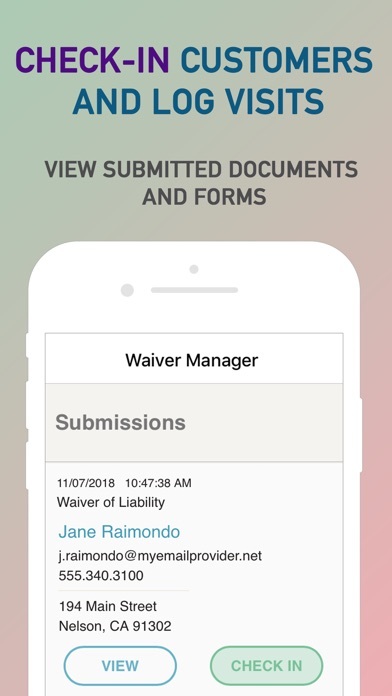 Log in with you Waver Master account, and your submissions will be displayed in real-time as your customers fill out and sign your documents and forms. Use a Check-In Feature to mark arrival or verification.